Guest: Dr. Peter Shaver. Topics: Dr. Shaver's boo, "Cosmic Heritage," the universe, cosmology, consciousness, cognition. You are invited to comment, ask questions, and discuss the Space Show program/guest(s) on the Space Show blog, http://thespaceshow.wordpress.com. Comments, questions, and any discussion must be relevant and applicable to Space Show programming. Transcripts of Space Show programs are not permitted without prior written consent from The Space Show (even if for personal use) & are a violation of the Space Show copyright. We welcomed Dr. Peter Shaver to the show to discuss his new book, "Cosmic Heritage: Evolution from the Big Bang to Conscious Life. Dr. Shaver started our discussion by telling us what motivated him to write this book as well as the search for answers to the Big Three questions: (1) What are the origins of life; (2) What is the nature of life; (2) To understand consciousness. We talked about the big bang, the microwave background and the early phases of the universe. We also discussed cosmology & the inter-disciplinary nature of his book, including the fields of psychology, consciousness, and biology. We talked about the age of the universe at 13.7 billion years. Dr. Shaver then described the timeline by referencing the Sagan Calendar. I asked him about a section of his book, "Are There Questions That Science Can Never Address?" starting on page 238. Dr. Shaver talked about taboos and the limits of science. Recurring events or experiences in the natural world can be subject to the scientific method. A once-only event may not be due the inability to repeat the experiment. Also, if something is outside the natural world, the paranormal for example, science would not likely be able to address that issue or question. Later, Dr. Shaver was asked what came before the Big Bang. Here, he introduced us to multiverse theories. He mentioned the work being done with the Large Hadron Collider and the search for the search for the Higgs-boson particle. Another project he mentioned was the European Space Agency Planck Satellite designed to observe the anisotropies of the cosmic microwave background. A listener asked about the political nature of science, especially science funding. Dr. Shaver had much to say in response to this question, including the use of peer review. Other listener questions asked him about big science projects and their value compared to cost such as the James Webb Space Telescope. Cognition and consciousness were discussed in the context of his book which addresses the field of neuroscience. Terry called to ask we will see in telescopes as we get closer to the big bang. Will we still see stars, planets, or just matter in chaos? Dr. Shaver then guided us through gazing through the dark sky at night and slowly removing from our view the sources of light until we reach the edge of the universe which he referred to as the Near Side of Dark Ages. Another listener asked if we could actually see the big bang and he talked about the microwave background and fog that we cannot see through. This brought up the Hubble Deep Field, then Andrew asked if we could use a telescope to see the first light from Earth when it was formed. As our discussion was drawing to a close, we talked about the rate of advancements in science, finding planets in the habitable zone and the future for those wanting to study science or have a science related profession. 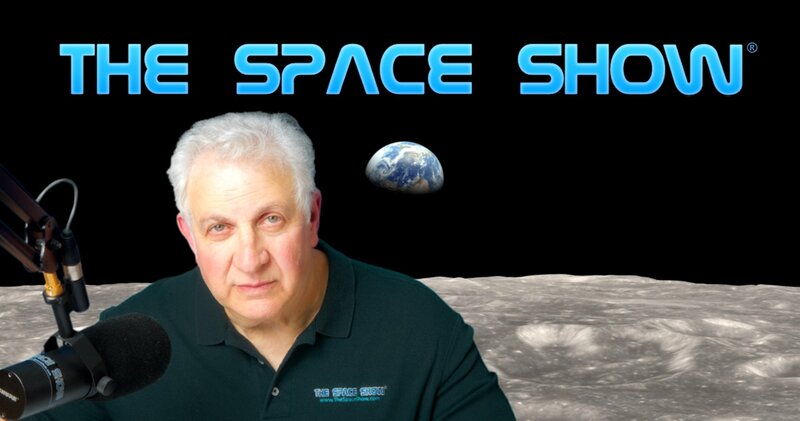 Post your comments/questions on The Space Show blog URL above. You can order the book from Amazon using www.amazon.com/Cosmic-Heritage-Evolution-Bang-Conscious/dp/3642202608/re.... Remember, when using this Amazon URL, Amazon contributes to The Space Show/OGLF. Dr. Shaver can be reached at p4shaver@gmail.com.